World Championship Series 2013 gets off to a turbulent start, and has now moved on to the next phase. WCS Korea has completed its Ro16 group nomination, while the other two regions have just getting started for their Ro32 matches. Although there are quite a number of controversies in regards to the final 32 players in America and Europe, the groupings are final and will not be changed. This post provides a summation of the list of players who got their names down in the world’s most prestigious Starcraft II tournament. It is important to note that only the Premier Leagues have been included in the following descriptive statistics figures (click to enlarge images). As I have previously mentioned, it is more meaningful to study race distribution of a league in a longitudinal manner instead of a cross-sectional one. 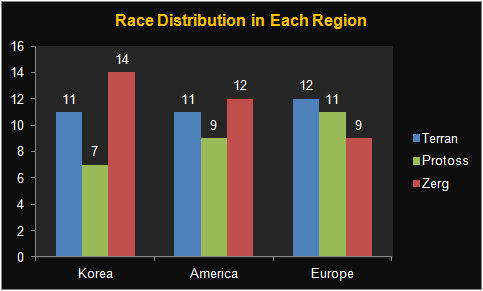 Given the relatively subjective selection method used in WCS America and WCS Europe, it is hard to evaluate the state of the game based on the race distribution. I have already posted about WCS Korea (GSL) race distribution in a previous post before WCS was announced, and hence, I won’t repeat myself here. 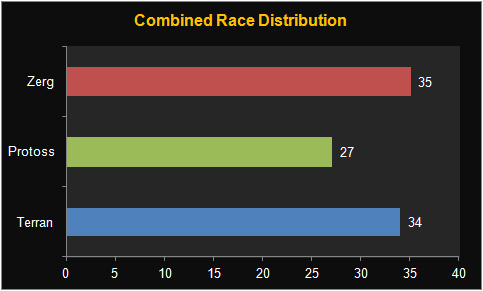 Anyway, WCS America and WCS Europe seem to have a balance race distribution, as no race has gone beyond 40%. 40% is my subjective cut off point for race distribution, and by no means it is conclusive. Instead of race distribution, perhaps Korean distribution of the three regions would give more room for discussion. 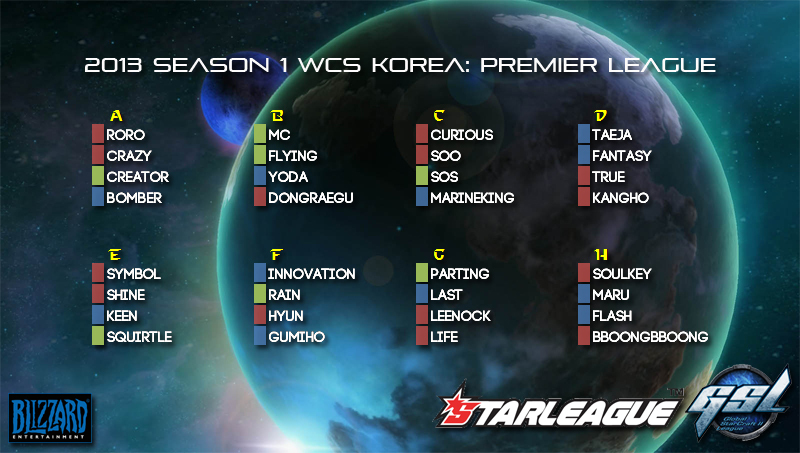 All 32 players in WCS Korea are Koreans, which seems legit. 12.50% of the top 32 players in WCS Europe are Koreans, which I think is a healthy proportion. 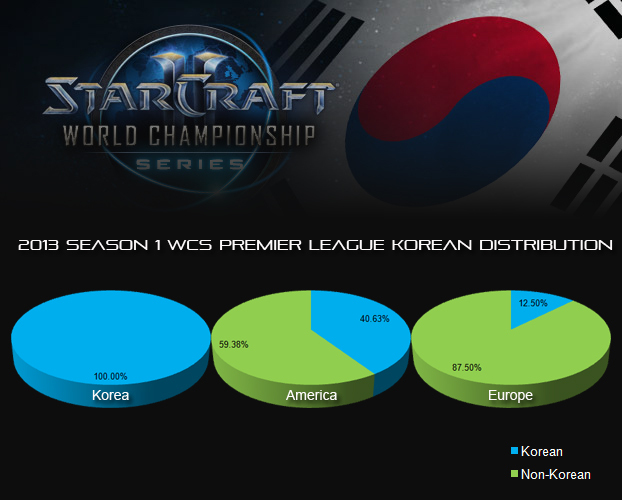 However, the percentage of Koreans in WCS America is as high as 40.63%! I am not sure if this figure is expected by Blizzard, but it is certainly worrying. 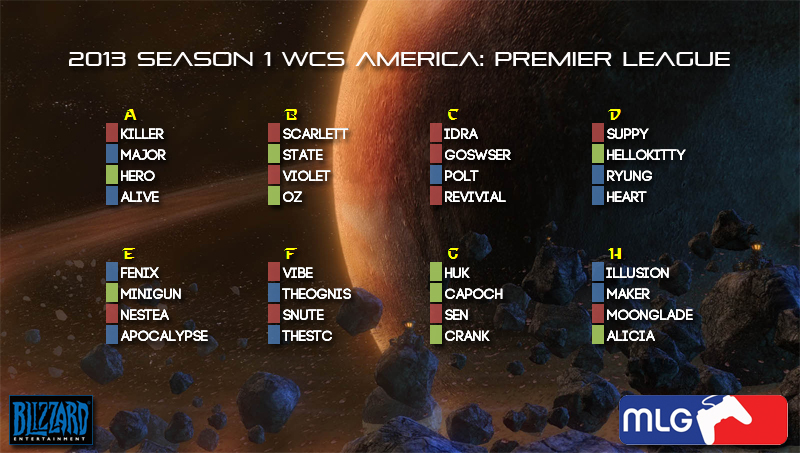 I expect more Koreans to take up the WCS America Premier League spots when the league becomes more mature. Feel free to use any of the images, but please give proper linkage and credit. I did not insert watermark, so that the images are clear. 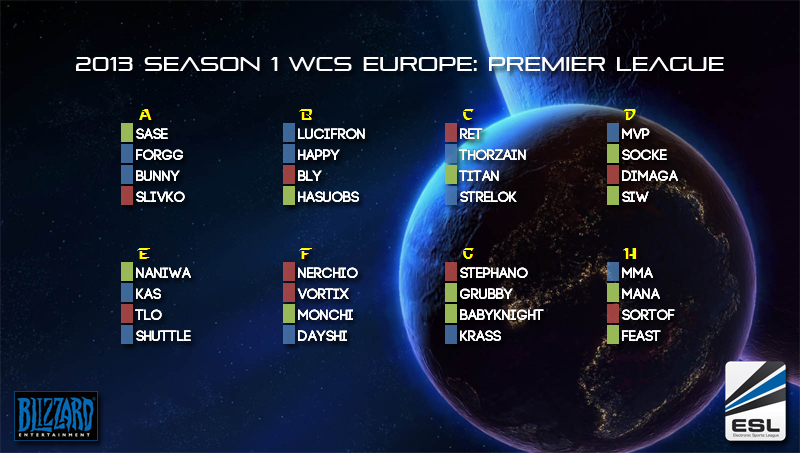 This is the official site for WCS Europe. I hope to see the other two regions to do the same, and hopefully, there will be a consolidated one.